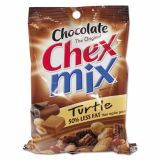 Chex Mix Chocolate Turtle, 4.5oz, 7/Box - Chocolate Chex Mix-turtle is the perfect sweet and salty combination. 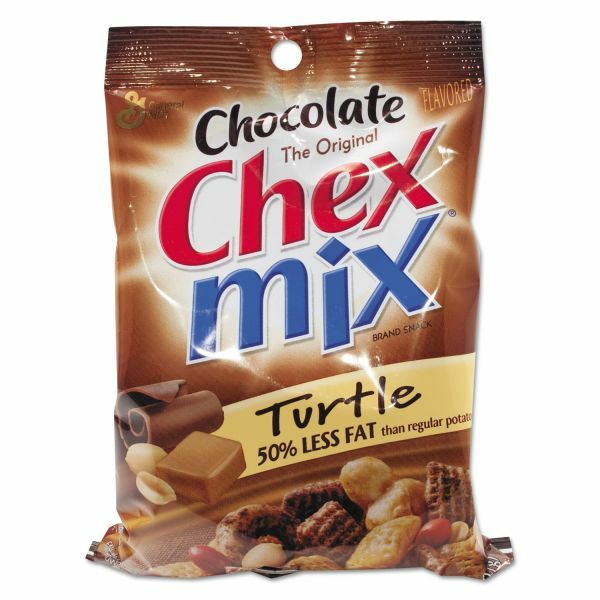 Tasty treat is made with caramel and chocolate Chex cereal, caramel popcorn, honey roasted peanuts, milk chocolate candies and pretzels. Single-serve snack packs are great for life on-the-go.